This evergreen family calendar guarantees 12 months of use from whenever you start. It also includes beautifully illustrated, informative and interactive monthly parenting theme pages to guide you through the year. 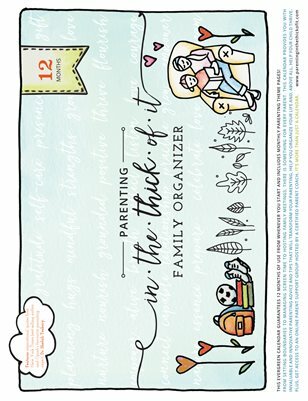 It’s the perfect organizer for busy families to keep track of all their activities plus help parents be the best parent they can be. It’s more than just a calendar!